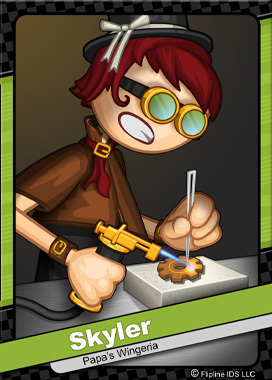 Skyler is a student studying Jewelry and Metals, a bachelor degree offered at the Toastwood Institute of Art. As an avid steampunk fan, she spends long hours after class crafting tons of accessories. Each year Skyler travels to Oniontown to take part in Sprocketworld, an underground steampunk convention. There, she shows off her newest costume in hopes of winning gold in the annual cosplay competition.